How to install livechat in the Wordpress? From the so-called dashboard we choose the position Plugins, and then click on the option Installed Plugins. Click on the Add New. The next step is to select Upload. Select the previously downloaded file czater_wordpress.zip from your computer and install the plugin. Then on plugin configuration, in the chat code section paste our chat script. After saving the changes, the chat should appear on our website. 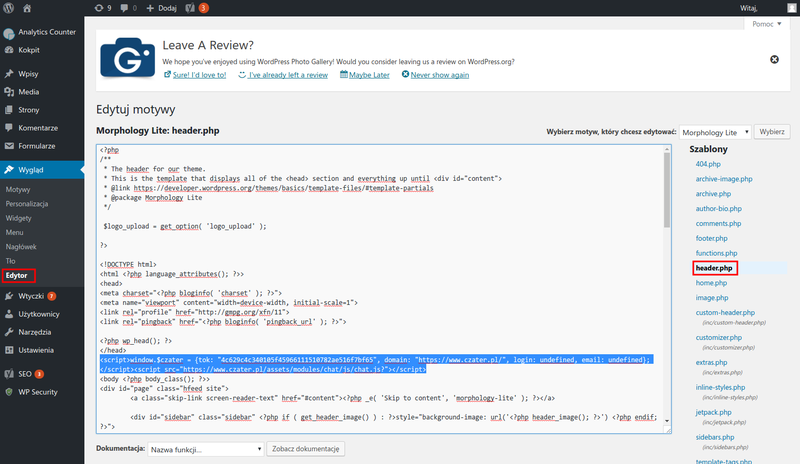 An alternative way to add chat in Wordpress is to place a chat script in the template editor. In the menu, in the Appearance section, select Editor. Then you will find a file named header. php in the template files. In this file, between head tags, paste chat script.